How can I transfer my account to a different person? Can I change the person who pays? Go to https://walls.io/me and enter the email address of the new wall owner. After you are done setting up the wall for the next person, log out. The new admin then should go to the login window and after entering his email address, should click on "I forgot my password" to receive an email to set up a new password. Please be aware that changing the account owner does not change the person who pays! 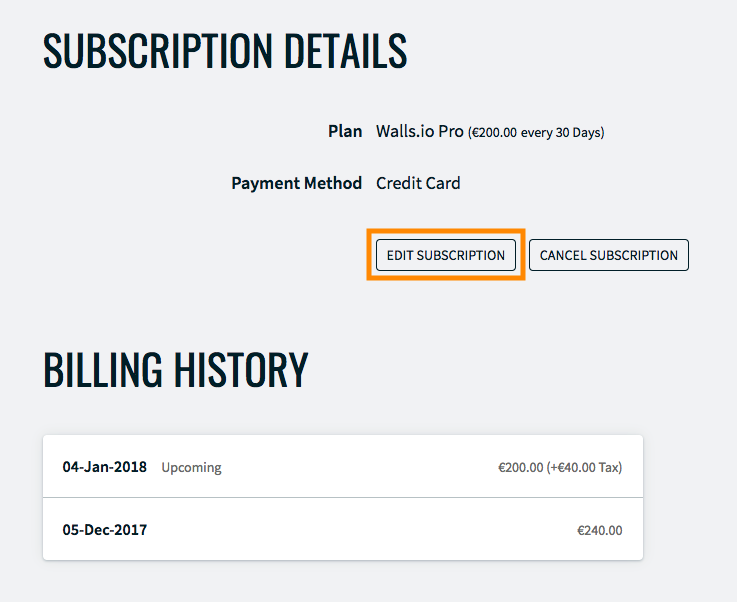 Go to https://walls.io/me and click on "edit my address/add VAT ID". In the new window click on "edit subscription".